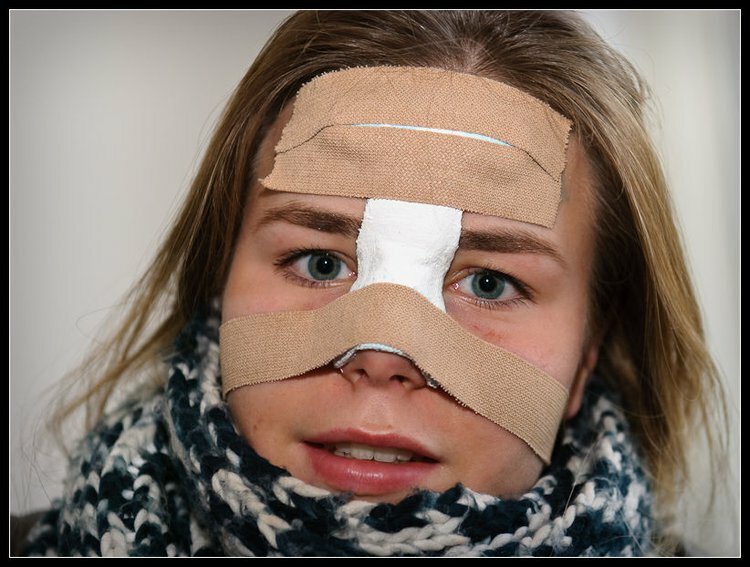 The majority of Broken Nose injuries heal without any serious complications, even if surgical treatment is required to realign or reconstruct the nose. What are the Causes of Broken Nose? What are the Signs and Symptoms of Broken Nose? Excessive, heavy, and repetitive bleeding may cause lightheadedness, dizziness, and fainting. How is First Aid administered for Broken Nose? Who should administer First Aid for Broken Nose? The injured individual or any bystander can administer first aid; however, the affected individual must seek medical assistance for a definitive management of Broken Nose. What is the Prognosis of Broken Nose? How can Broken Nose be Prevented? Spencer, D. C. (2012). Narratives of despair and loss: Pain, injury and masculinity in the sport of mixed martial arts. Qualitative research in sport, exercise and health, 4(1), 117-137. Walker, P. L. (2014). Wife Beating, Boxing, and Broken Noses: Skeletal Evidence for the Cultural Patterning of. Troubled times: Violence and warfare in the past, 3, 145. Batista, A. M., Marques, L. S., Batista, A. E., Falci, S. G. M., & Ramos-Jorge, M. L. (2012). Urban-rural differences in oral and maxillofacial trauma. Brazilian oral research, 26(2), 132-138. Tarr, J., & Thomas, H. (2011). Mapping embodiment: methodologies for representing pain and injury. Qualitative research, 11(2), 141-157. Meara, D. J. (2013). Acquired defects of the nose and naso-orbitoethmoid (NOE) region. Oral and Maxillofacial Surgery Clinics, 25(2), 131-149. Svider, P. F., Johnson, A. P., Folbe, A. J., Carron, M. A., Eloy, J. A., & Zuliani, G. (2014). Assault by battery: Battery‐related injury in the head and neck. The Laryngoscope, 124(10), 2257-2261. Cannon, C. R., Cannon, R., Young, K., Replogle, W., Stringer, S., & Gasson, E. (2011). Characteristics of nasal injuries incurred during sports activities: Analysis of 91 patients. ENT: Ear, Nose & Throat Journal, 90(8). Wang, Q., Ishikawa, T., Michiue, T., & Maeda, H. (2010). Fatal facial–intracranial impalement injury in an accidental fall from a height: An autopsy case report with a review of the literature. Forensic science international, 200(1), e21-e24.